With partnership between HealthCare Global Enterprise Limited and Cancer Care Kenya Limited we are now the first private comprehensive cancer care center in East African region which is the partnership between India and Kenya. 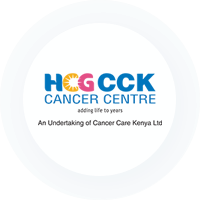 HCG CCK Cancer Centre is well-equipped with state-of-the-art technology and along with a multi-disciplinary team of oncologists, it offers the highest quality of cancer care in the East African region. With this partnership, HCG has also become the first Indian cancer care hospital to invest in the African Continent. The cancer centre works on the principle of interactive consultations between various sub-specialities in the Tumour Board to decide on the best possible treatment for patients. The patient-focused and individualised multidisciplinary therapy work towards faster recovery and an improved quality of life. Enabling patients to live longer and better lives. To be honest and forthright in all dealings, and to be responsible corporate citizens in the community. To strive to find innovative ways to enhance patient care and provide value to them. To explore the limitless possibilities of collaborative energy and teamwork. To be the best, as individuals and as a company. Adding life to years by redefining healthcare through global innovation. To be an acclaimed healthcare institution in pursuit of medical excellence through value based medicine.